As I mentioned a while back, I took advantage of a recent promo code and was able to restart my Citrus Lane subscription—paying only $18.71 for my first box and receiving a bunny easter basket for free. Although I'm still unsure of whether I'll continue with these boxes every month (especially now that Eisley is older and we run into having entirely too much stuff), I'm glad I ended up paying for this deal because we received a rather fantastic box of goodies that was totally worth the price. As I've done in the past, I plan on keeping the majority of the items to use as gifts for Easter, her birthday or Christmas. That is my favorite way to make the most of these boxes—that way your child isn't expecting to get a bunch of new things every month for no reason whatsoever. If you're like me (and like to tuck away gifts for the year ahead) this is an awesome way to get a variety of unique items for a discounted price. Seriously, this box is perfect for Eisley. I was worried, because I read a few reviews of people saying they weren't as happy with the boxes aimed at children this age—but this one was definitely a hit for us! Not only are the items perfect for Eisley, but based on the average retail price of the items, the box this month is worth around $35. See below for a few notes on everything we received! Reusable Sticker Pad from Melissa & Doug (average retail price: $5.95) — Eisley has a larger version of one of these that she loves playing with. I know that this princess-themed one will be perfect for her! This may be the one toy item that I give to her now, because I think it would be a good one to keep in her bag for church. Wallet from Stephen Joseph (average retail price: $8.50) — This was perfect timing, because I've been wanting to pick up something like this for Eisley! I'm thinking I may keep this one to give her for her fourth birthday, so she has somewhere to put her birthday money. I'm eager to start being more intentional in teaching her about money, spending and saving, so this will be a good first step! 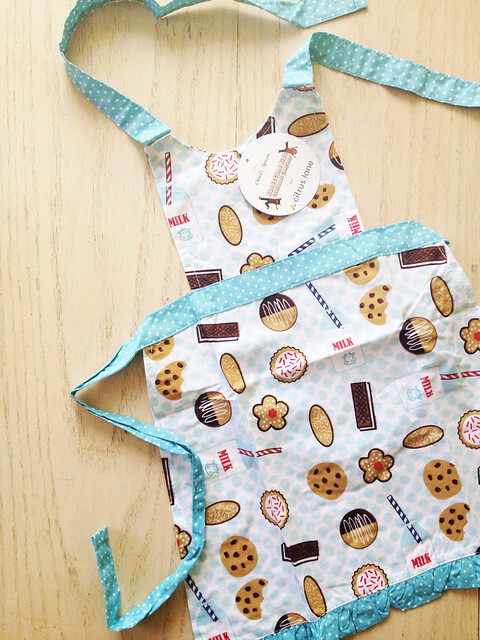 Kid-sized Apron from Handstand Kids (average retail price: $20.00) — Could this apron be any cuter? I think not. Eisley already has a few aprons that we use a lot, so I'm not sure whether I should save this one for Christmas or if I should just keep it on hand to use as a gift for one of her friends or cousins. Either way, it's an adorable product and beautifully made. Honey Graham Sticks from Back to Nature (average retail price: less than $1) — This is one that will easily be tucked into Eisley's easter basket. She loves trying random snacks like these! 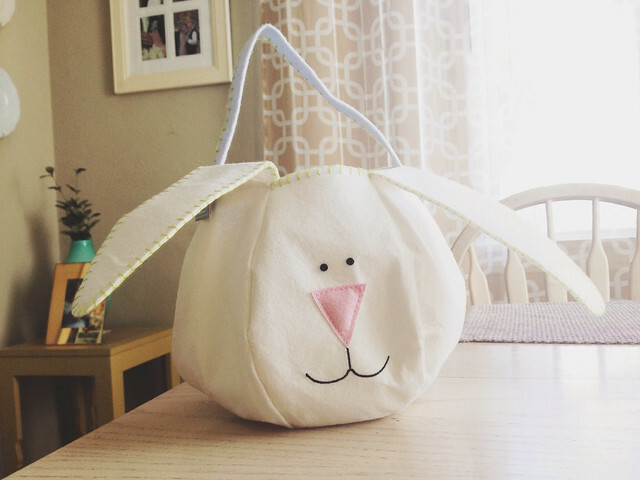 Bunny Basket (the freebie I received with a coupon code I used!) — This thing made me laugh a little bit as it looks into my soul with its beady little eyes, but I know Eisley is going to be borderline obsessed. Now to find some goodies to fill it with! All in all, I think this was an awesome box for the price I paid. There was also a few discount codes in the box, but none that I think I'll take advantage of. I do feel like when you're paying full-price for these boxes ($29 for the month-to-month subscription, and as low as $24 with the 6-month subscription) I would like to receive at least one more item. Either that, or I'd hope that the items in the box would be worth closer to $40. But! If you're able to use a coupon code (many are floating around the internet!) or sign up as a new customer and receive 50% off your first box (you can use my link, or ask a friend if they have one!) then you will be getting a fantastic deal. And as always, when you sign up for the month-to-month subscription you can cancel at any time. Remember to share your referral link with friends if you end up also loving these boxes, and you'll receive a $20 credit on your account for any friend who also signs up. Did you receive a Citrus Lane box this month? You'll have to let me know what you think! Affiliate links included in this post. 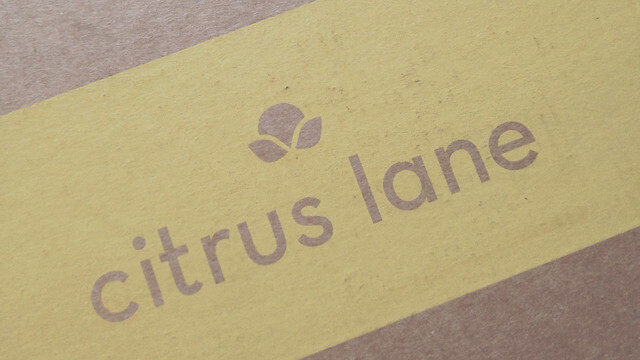 If you decide to subscribe to Citrus Lane via this post, you will receive 50% off you your first box and I will receive a credit on my own Citrus Lane account. Thank you for your support! View my disclosure policy here. I love the idea of Citrus Lane (they always have such cute things!) , but they don't ship to Canada so I resort to Amazon - or the dollar store! 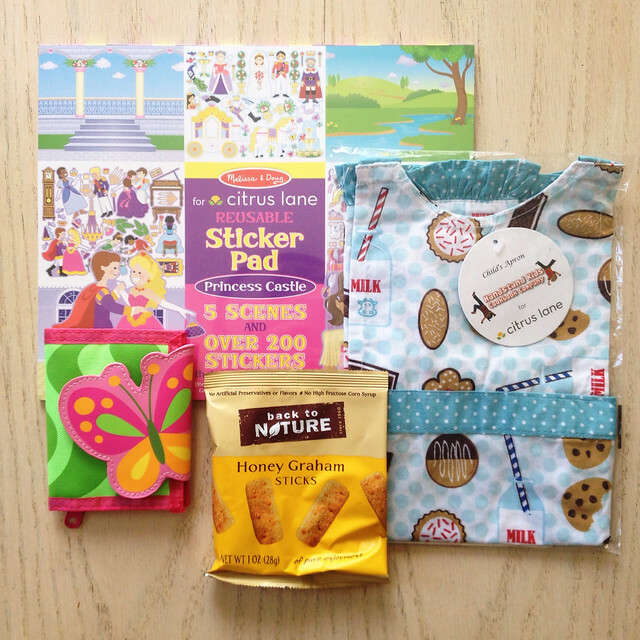 - for little gifts. Both of my kids have similar reusable sticker pads and they LOVE them! I got almost the same box for my little one, except her sticker pad was animal-themed. This was one of my favorite Citrus Lane boxes so far! that apron is too cute, and the bunny basket? I melt. Ours hasn't been delivered yet, but now I'm so excited! Meredith doesn't have an apron so that's perfect.